AMONG THE SEVERAL councillors who have joined Renua Ireland is Ronan McMahon. Yesterday he denied he broke a pledge made on campaign literature that he would not join any political party. The South Dublin county councillor joined Lucinda Creighton, Eddie Hobbs and others at the launch of the new party yesterday morning in the Science Gallery. Around the same time this section of a McMahon campaign leaflet was tweeted by the former Young Fine Gael president Dale McDermott. As you’ll see in the literature, McMahon made a clear commitment to remain as an independent if elected and said he will not join any political party. 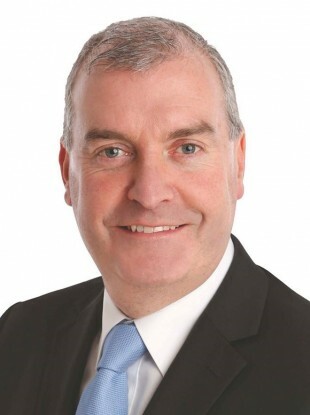 McMahon was elected for the Templeogue-Terenure ward in the the local elections last May having controversially run as an ‘Independent Fine Gael’ candidate. He was also an unsuccessful independent candidate in the Dublin South-West by-election last October. ‘Is it a bird? Is it a plant?’: What on earth is that Renua Ireland logo all about? Email “Broken promise? Councillor defends joining Renua... despite telling voters he'd stay independent ”. Feedback on “Broken promise? Councillor defends joining Renua... despite telling voters he'd stay independent ”.